Over the weekend, Sindhu attended the Ambani reception wearing Dolly J. Big earrings and a cocktail ring aside, she rounded out the look with a clutch by The Little Shop. Like the look on her? 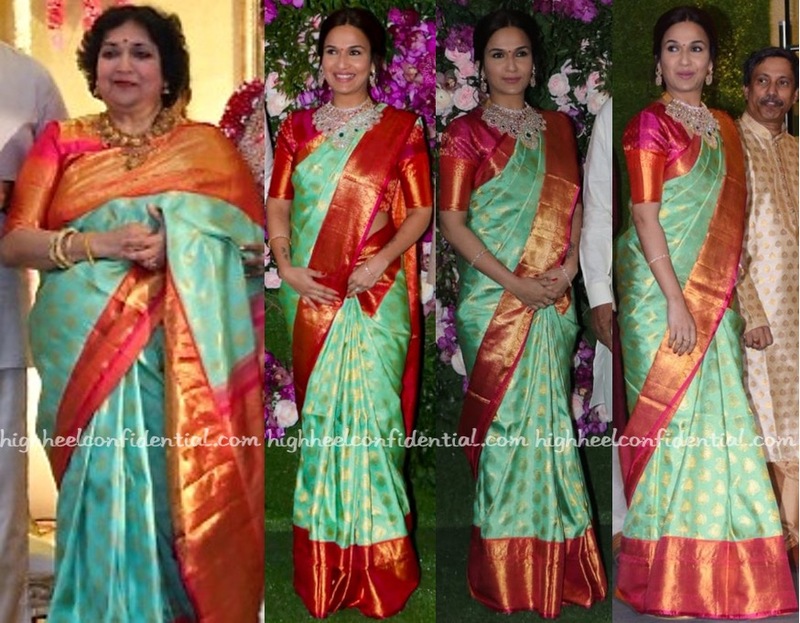 At the recent Mehta-Ambani wedding, Soundarya was photographed in a mint-hued kanjeevaram sari. Diamond jewelry rounded out her look. Loved that she picked a sari that her mom wore earlier this year at her wedding. 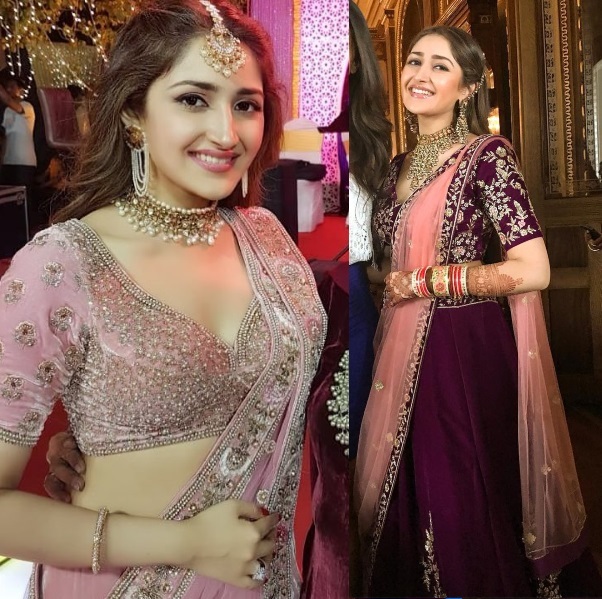 Soundarya looked lovely but wish she had picked gold jewelry like her mom instead of that diamond necklace which didn’t work with the sari at all. Guess Anu must really like this Love Moschino design since she was spotted in both the dress and top version of it recently. 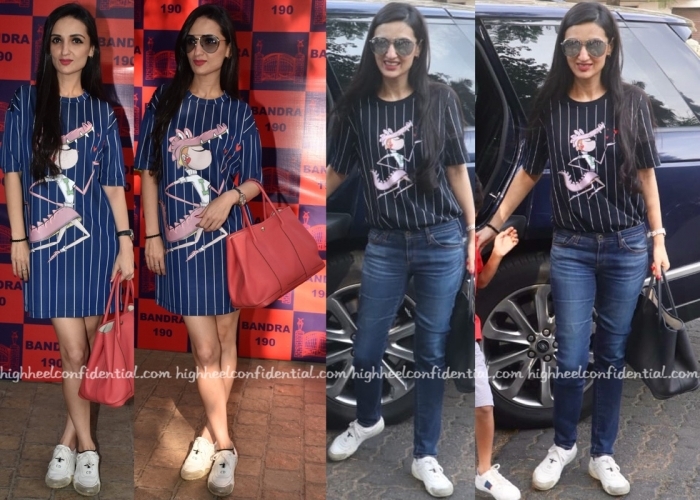 Both times, she rounded out her look with Hermes totes and Dior sneakers. Shop the Love Moschino dress here and the tee here. 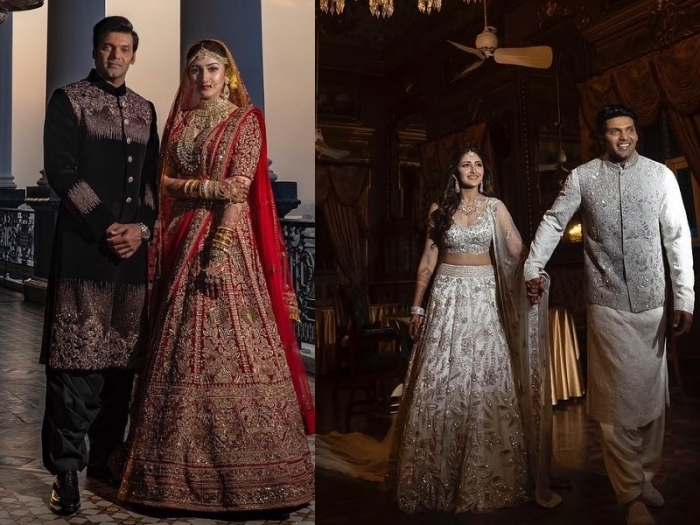 Over the weekend, actor Arya tied the knot with Sayyeshaa in Hyderabad. The groom wore a Manish Malhotra for the wedding and the bride, a red lehenga designed by her mom Shaheen. We wish the newly weds our best! Wearing a Fendi skirt with an off-shoulder top, Parineeti attended radio promotions for Kesari on Monday. Didn’t mind the combo but her strapless innerwear did her no favors.